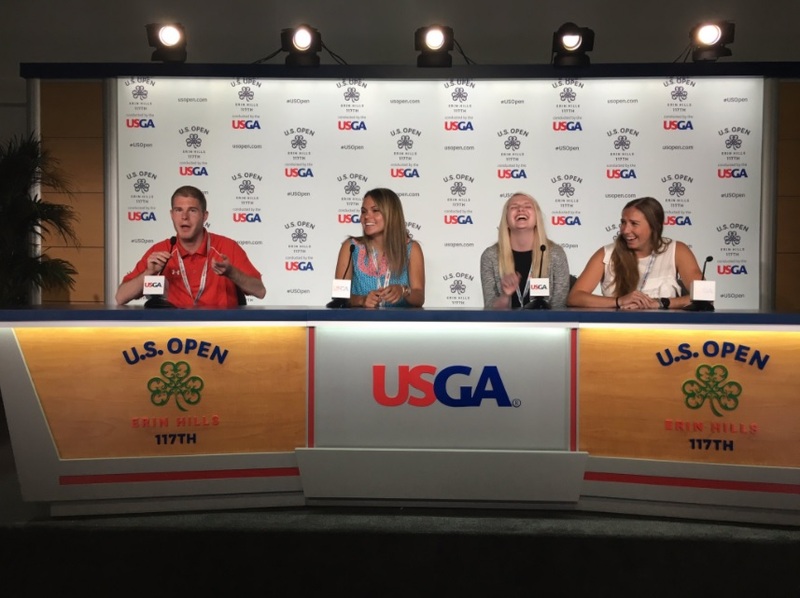 Check out a behind-the-scenes look at the work our FOX Sports U students at the University of Wisconsin did to develop an integrated marketing campaign for the 2017 U.S. Open at Erin Hills on FOX. 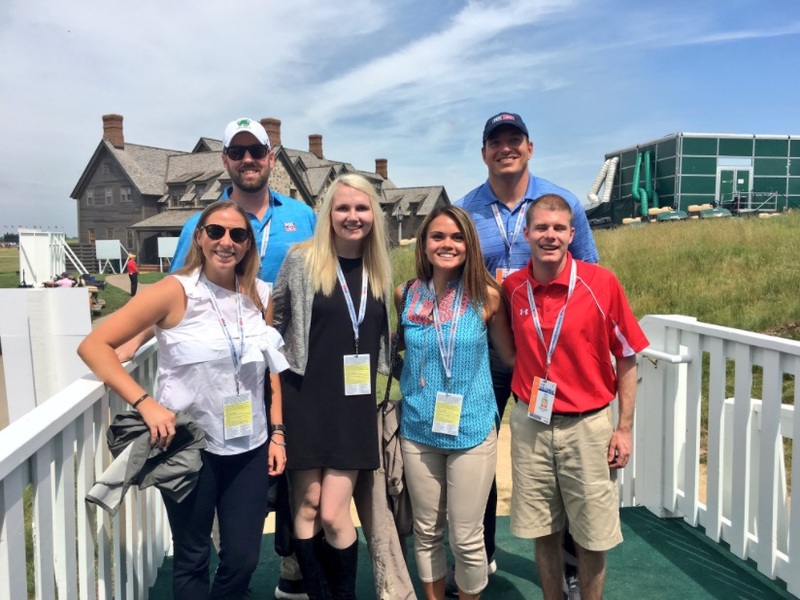 The winning team got to join FOX for a behind-the-scenes experience at the U.S. Open at Erin Hills. Nate is a graduating senior at the University of Wisconsin-Madison, where he majored in Journalism and International Studies. He is originally from Baraboo, Wisconsin, where he attended Baraboo High School and competed on the cross country, hockey and track teams. After graduation, Nate plans on working in the tech or music industry, or pursuing a career in politics before eventually returning to graduate school. His personal interests include anything related to technology, current affairs, or Wisconsin sports. 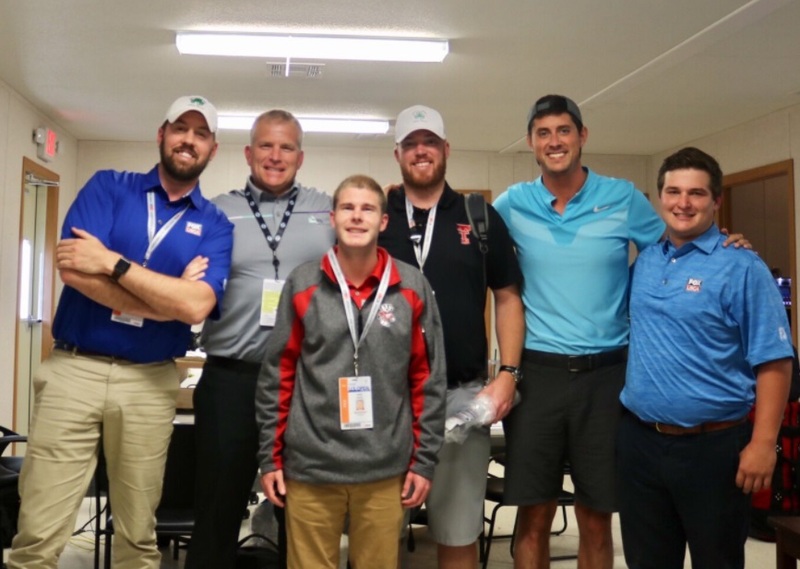 The experience gained from working with FOX Sports on the U.S. Open Championship at Erin Hills was invaluable and has definitely helped me prepare for life after graduation. The FOX Sports U program was one of the most demanding, but rewarding programs I have been a part of here at school. As a student, it is always nice to know that your work is taken seriously and that your opinion matters. Colleen graduated this past May from the School of Journalism and Mass Communication majoring in Strategic Communications and Reporting. Colleen moved to Chicago and has continued her sports media passion with KemperLesnik. Colleen wants to continue pursuing her passions of sports and communications, and plans to get involved with professional organizations for women trying to pursue a career in sports media. Besides being a die-hard Badger alumna, Colleen enjoys running and yoga, while appreciating as much fresh-air and good weather with either a book or crossword. Colleen absolutely loved her time at Wisconsin and plans to give back as much as she can. 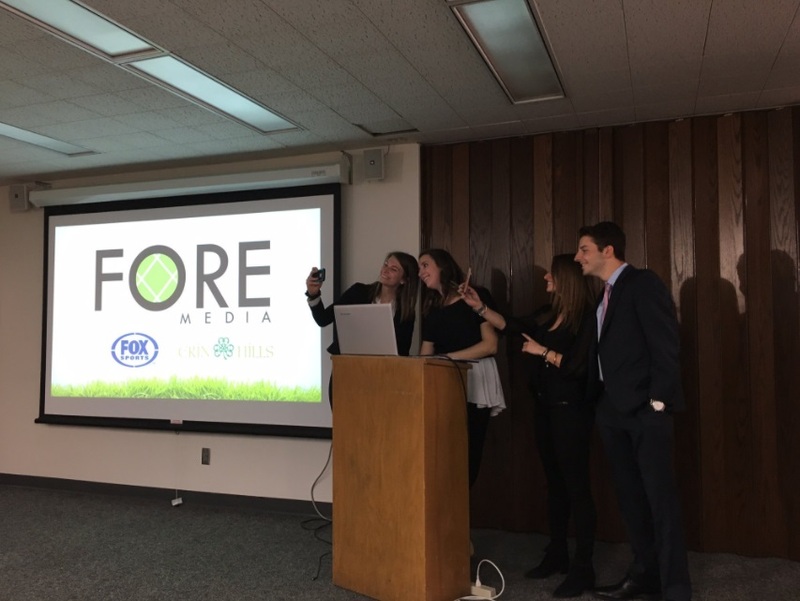 When I found out our class would be working with FOX Sports University, I knew this meant this project would utilize all of my journalism background, from research to planning to actual execution, and could not have been more excited to get involved. Working with FOX Sports University brought the level of commitment and precision in the classroom to a whole new level. As a team, we knew we were not only trying to impress our teacher, but a real client, who wanted to utilize our creations and ideas for a highly regarded Championship and broadcast. The stakes rose, but as a team so did we. As a team, we really appreciated the communication between FOX Sports University and us. 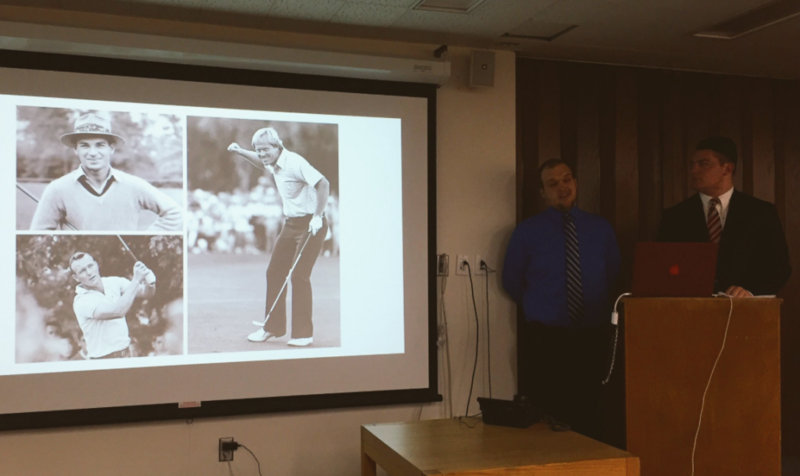 We were able to pitch our campaign midway through the semester to FOX, and after hearing their feedback were able to bring a much stronger, cohesive campaign to them at the end of semester. This not only benefitted us a team short-term, but was a great preview into what our careers will entail. Scrapping initial ideas and being capable to come back with something even better and usable is a realistic component to a career in public relations. This experience was invaluable to me and my teammates, and I know we will be able to pull from this campaign for our future careers. Maura Curtis, a Milwaukee, Wisconsin native, is a recent graduate from the University of Wisconsin-Madison where she studied reporting and strategic communications in the School of Journalism and Mass Communications. She also received a certificate in digital studies. Maura is currently pursuing a career in the marketing field, with the hopes of eventually working in advertising. In the meantime, Maura enjoys working as a manager of a busy and growing Midwestern coffee chain, walking her overweight golden retriever and keeping up to date on all things entertainment. I really appreciated having the opportunity to work with a real client in a college class; it was a realistic and valuable learning experience. I am excited to use the experience and skills I gained from FOX Sports U in future jobs and interviews. FOX Sports U challenged us to create a detailed and innovative marketing campaign for the 2017 U.S. Open and taught us the importance of strategy and a well thought out plan. Matt is originally from Brookfield, Wisconsin, a suburb of Milwaukee. He recently graduated from the University of Wisconsin in May of 2017. He earned a Bachelor of Arts in Journalism, double-tracking in reporting and strategic communications. Matt’s graduation plans include pursuing a career in either reporting or public relations. He is an avid sports fan and would love to work for a major news network or a professional sports team. Working with FOX Sports to promote the 2017 U.S. Open Championship at Erin Hills was an amazing experience. I never thought I would have the opportunity to work with a major sports network while in college and I’m really thankful for it. As a huge sports fan, being able to work on this project was a great fit for me. This class was one of my favorite classes at Wisconsin and I hope other students who take this class in the future have a great experience as well. The project was very practical, hands-on and provided great real world experience. 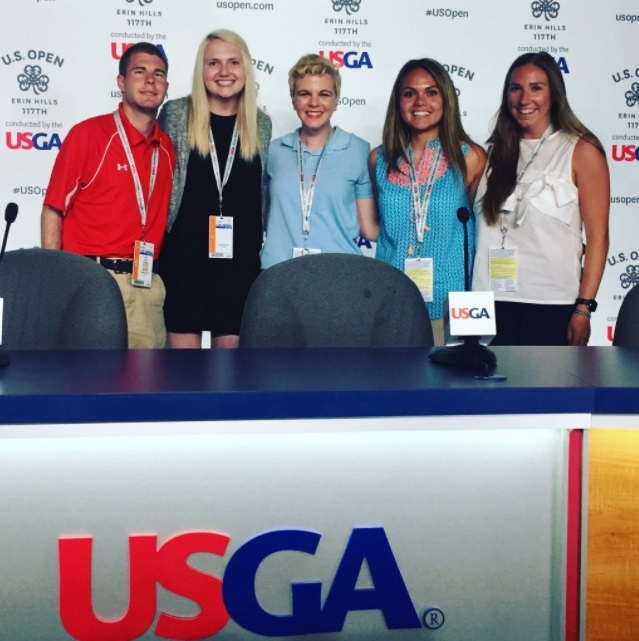 Journalism students from the University of Wisconsin were challenged to develop an integrated marketing campaign for the 2017 U.S. Open at Erin Hills on FOX. She teaches courses in Digital Media Strategies, Public Relations Strategies, Account Planning, Intro to Strategic Communications, the Strategic Communications Campaigns Capstone, Professional Communications Careers, Internships, and Directed Studies. Debra brings more than 20 years of marketing and strategic communications experience – on both the client and agency sides – to the School of Journalism and Mass Communication. Debra began her career at Chicago office of Burson-Marsteller (one of the world’s largests PR agencies) on the Kraft Foods, General Mills, Miller Brewing Company, Procter & Gamble, Tropicana, and Ameritech accounts. Her public relations experience includes new product introductions and support, event marketing, crisis communications, media relations and media training, corporate communication, ethnic marketing, sports marketing, corporate sponsorships, and publicity. She then worked at both Kraft Foods (Oscar Mayer Division) and Spectrum Brands in brand management and marketing. Her client side experience spans the food, mass merchandising, drug and specialty channels across North America, Europe, and Australia. In addition, her marketing experience includes strategy development, advertising, public relations, consumer and trade promotions, event marketing, new product development, ethnic marketing, and management (financial, sales, business, personnel). Debra is a two-time UW Madison graduate and a huge “all things BADGER” fan – she holds both a Bachelor of Arts in Journalism (Public Relations) and a Master of Science Degree in Business (Marketing) from the University of Wisconsin-Madison.